Yesterday’s villagers and immigrants become today’s urban merchants and tomorrow’s professionals and political leaders. Without this metamorphosis, cities stagnate and die. To live in a real city is to live in a place where we are perpetually confronted with people who we do not understand. To value city life is to value these encounters, to tolerate or even desire the experience of having our own assumptions and habits thrown into question by unfamiliar codes, symbols and norms. Seen this way, the defining urban experience is that of meeting the stranger, the newcomer, or she who has come from afar. So it is no accident that anti-immigrant paranoia is strongly centered in the non-urban areas of our country. Immigrants and cities pose similar challenges to those who long for an imagined past. We in Seattle like to think of ourselves as oriented toward the future. And I can think of nothing that will have a greater impact on what kind of city we become in the 21st century than how we treat and integrate our immigrant communities. 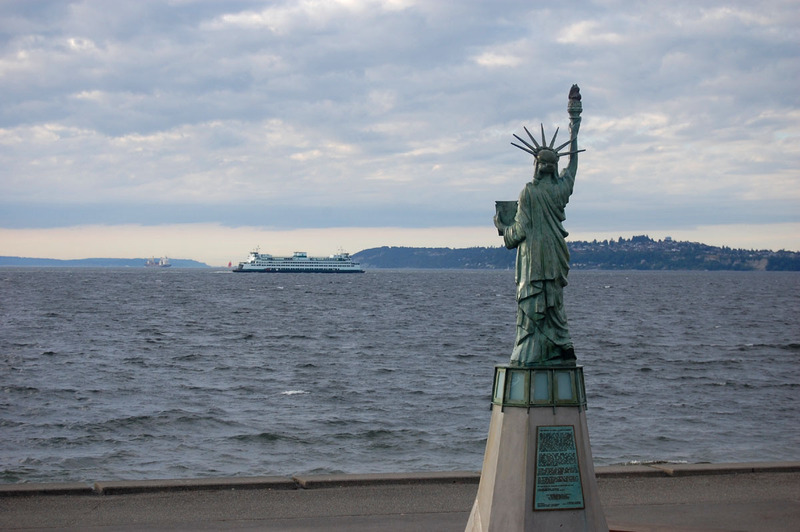 As I have written here previously, I believe that Seattle needs to actively attract more immigrants. And the best way to attract more immigrants to Seattle is to make Seattle a great place for immigrants to live. But I don’t think that this crucial aspect of our city’s current and future prospects should be left up entirely to the natural openness and cosmopolitan orientation of our citizens. I think we need a clear set of policies and practices with the goal of making Seattle the best city for immigrants to live in the country. I think most Seattleites recognize the contributions and advantages immigrants bring, and are appalled at the xenophobic anti-immigrant policies being enacted in places like Arizona and, more recently, Alabama. We see clearly that such policies are an outgrowth of misplaced fears. Well then, let us do the opposite, and do it bravely. Therefore I am calling for the creation of an “Immigrant Attraction and Integration Department” for the City of Seattle. This department would provide a voice at city hall explicitly devoted to our city’s immigrant communities, and its primary mandate would be derived from the desires and demands of immigrant communities themselves. It would be charged with supporting and strengthening the networks and exchanges that Doug Sanders has shown are so vital to “Arrival Cities” around the world. It would coordinate and advocate resources for English language learning, linguistic access, and political participation. And it would promote Seattle around the world as the city in America that is most open to newcomers, for our openness would be not just warm feelings, but actually enshrined in city policy and practice. This week, Seattle is hosting the National Immigrant Integration Conference, where hundreds of people from around the country will be meeting to discuss the current state of immigrant integration efforts at the federal level. Having this conference in Seattle is a reflection that we are already recognized as a leader when it comes to these issues. It’s time for us to take the next step. David Moser works for Neighborhood House, a non-profit serving Seattle’s immigrant and refugee communities. He is also a graduate student in the Institute for Public Service at Seattle University, and is serving on the host committee for this week’s National Immigrant Integration Conference. I wonder why Seattle isn’t more of a melting pot. We’re a major port and have a major airport connecting to much of Asia. I couldn’t agree more. I often wonder why there is so much focus on immigrants “consuming” our jobs, when in fact they are better than the long-timers at creating them– 1/4 of venture backed entrepreneurs in the US are born outside our borders. I say, bring on the immigrants, their ingenuity and the jobs they can create.